I’m sharing #Advil in my life as part of an Advil® sponsored series for Socialstars™. 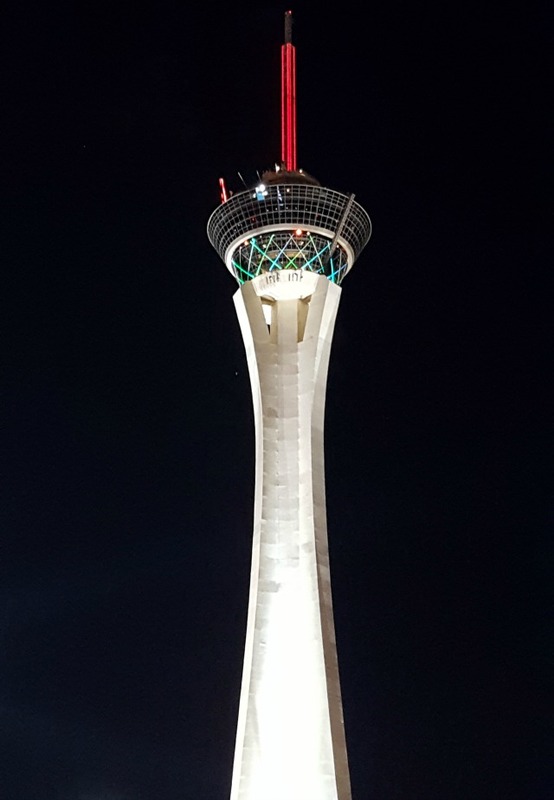 When I found out that I won a stay at the Stratosphere in Las Vegas, I immediately called my boyfriend to tell him the news and ask if he would come with me. The trip included a three-night stay in a premiere suite, $150 gift certificate to the Top of the World restaurant, and 2 free Sky Jumps. We passed on the Sky Jumps. You couldn’t pay me enough money to jump off this building! We picked a weekend and then the planning started. 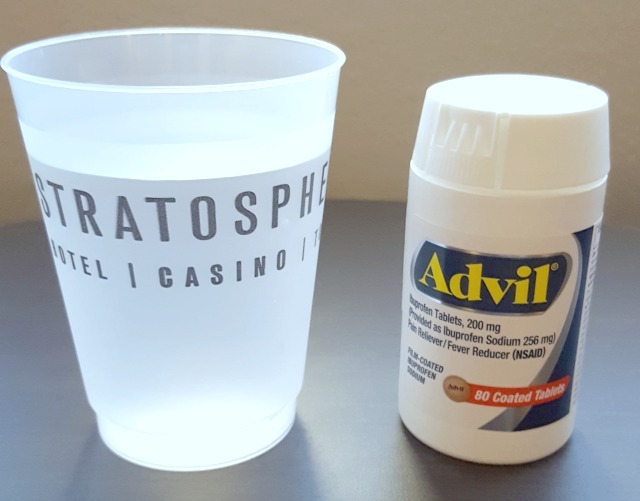 I knew Las Vegas would be full of triggers, so I came up with a survival kit to get me through the weekend and avoid headaches. Water – I kept a close eye on the weather for Memorial Day Weekend and the forecast was mid-90s. I do not do well in the heat and knew I would have to stay very hydrated to avoid headaches and even illness. Hair Tie – Have I mentioned I hate the heat yet? Put me outside in anything above 78 degrees and I start sweating. Hair ties are necessary so I can throw my hair up in a ponytail and provide relief to my hot neck. Advil Film-Coated Tablets – With all the lights and noises in Las Vegas, I knew I had to be prepared for these headache triggers. 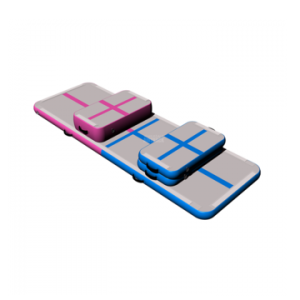 When a headache hits, all you need to take is 1-2 tablets every 4-6 hours. Cell phone and portable charger – With all the picture-taking and looking up things on the internet, my phone battery drains pretty quickly when I’m being touristy. Luckily, I have an awesome phone charger that will charge my phone from 0 to 100% in 30 minutes, and I don’t even need an outlet. Sunscreen – I have “porcelain” skin, aka I glow in the dark. I have gotten sick before from getting too much sun and it feels like a hangover. All I feel is exhaustion mixed with a headache. I learned my lesson the first time! Sunglasses – For some reason the sun seems to shine so much brighter in Las Vegas. Having a good pair of sunglasses will help you see without having to squint. 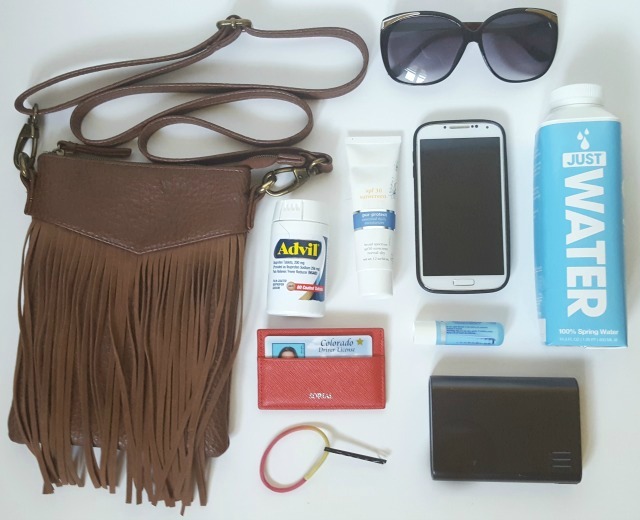 Card case and crossbody bag – These items greatly eliminated the hassle, aka “headache,” of trying to figure out where to put everything and how to carry everything I needed. There are so many amazing things to see in Las Vegas. 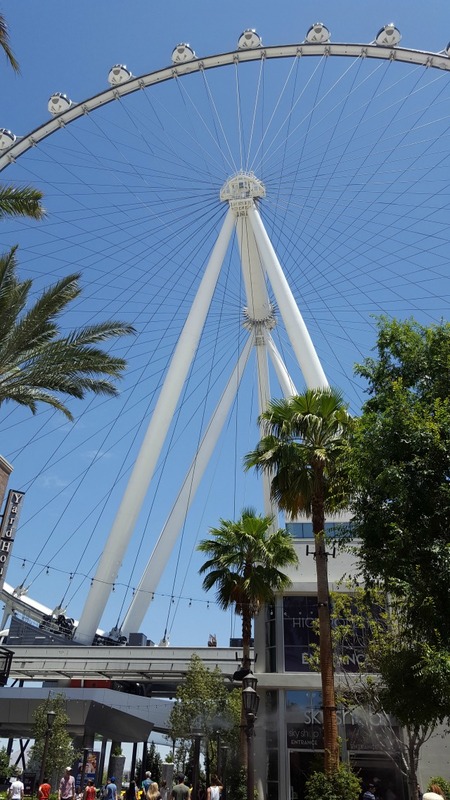 From acrobatic shows to the High Roller ferris wheel, I knew I could count on Advil for a pain-free weekend. As soon as a headache hits, I take my dosage with a glass of water and wait for it to take effect so I can go on enjoying the sights. We probably walked 10 miles total over the weekend, and I found that Advil also helped my muscular pain in my legs. I can’t wait to go back!